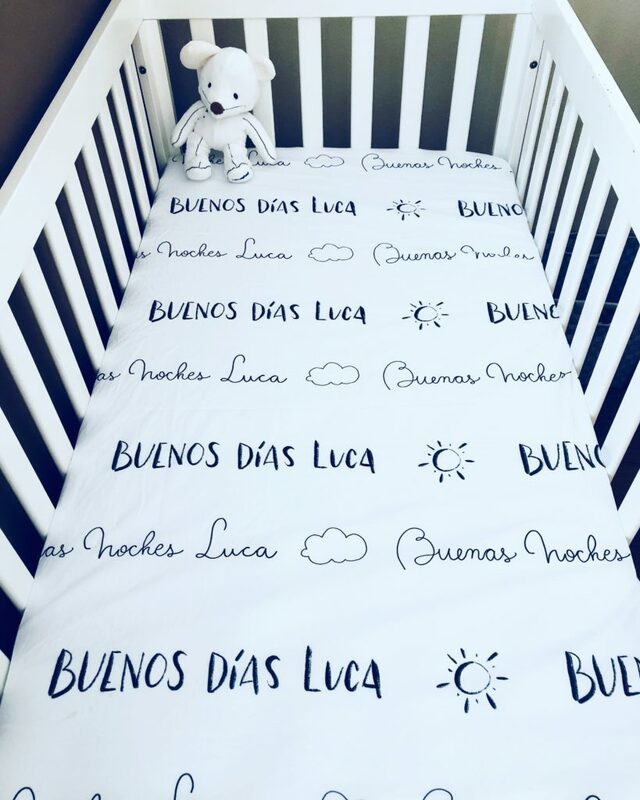 You might remember the sheets that I created for Luca some weeks ago. Well, after receiving some requests, I created a fabric pattern with just the “Buenos días/Buenas Noches” (that’s good morning/good night -without the Luca name part). That fabric is available on my shop at Spoonflower. I have to be honest, I don’t love Spoonflower. Yes, the quality of the fabric is great; the shipping and customer service is very good too and those are the reasons why I keep my fabric design shop there. But it only pays 10% to us artists… But if it is the way that I can offer my designs to the world, I’ll take it for now. There were two people that asked me for sheets already sewn. That’s how I got to create a shop on Roostery. 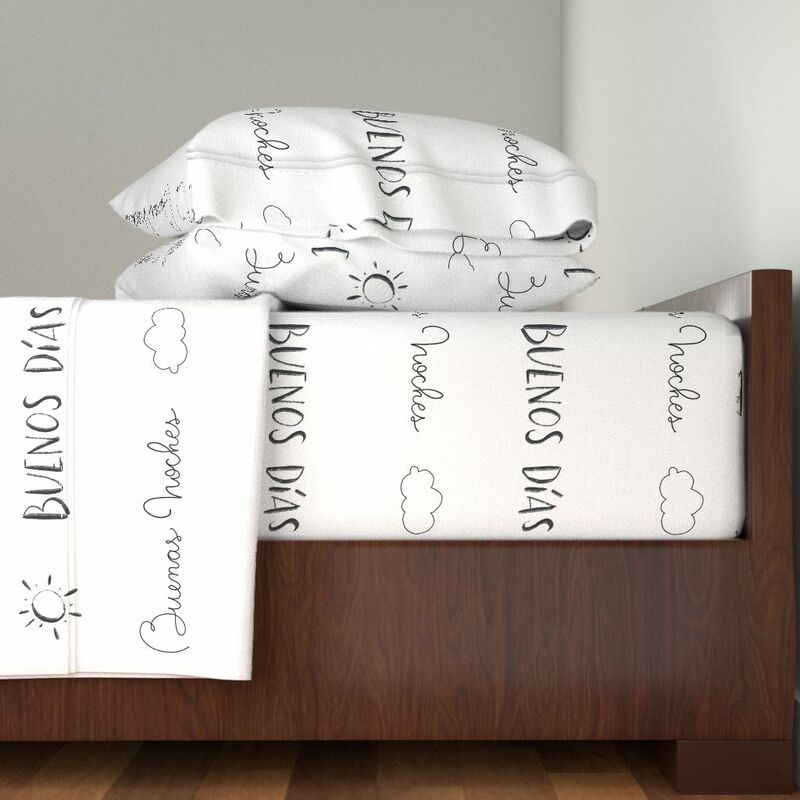 So this week I wanted to share with you that you can get sheets with the hand-lettered “Buenos Días Buenas Noches” at Roostery. Just follow this link. I think Roostery is still kind of expensive (especially if you compare what they charge to the customer and what they pay the artist; again sorry for the rant!) but for now is the only option I have to offer this product.